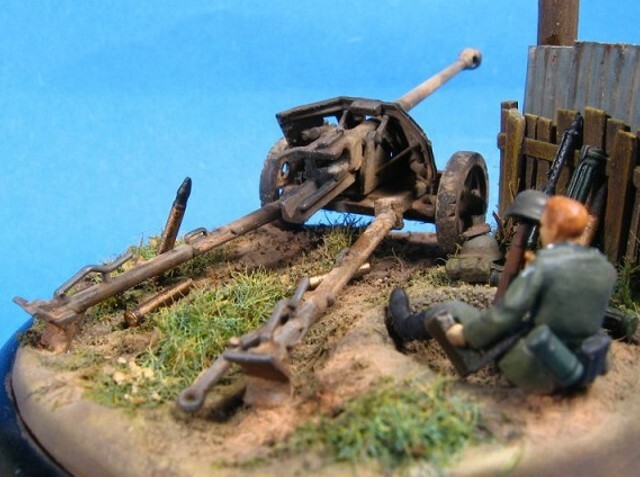 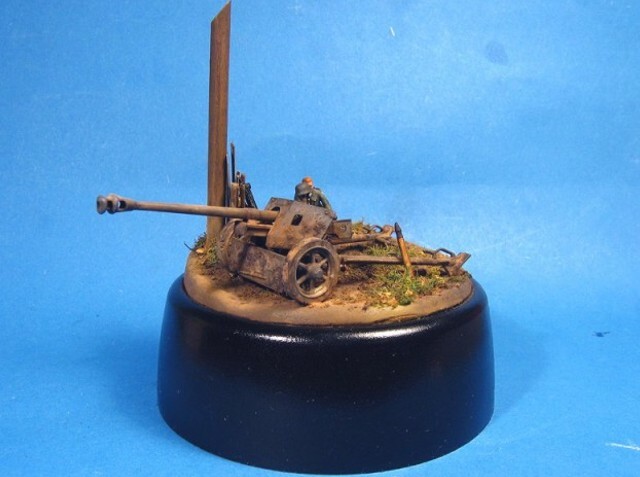 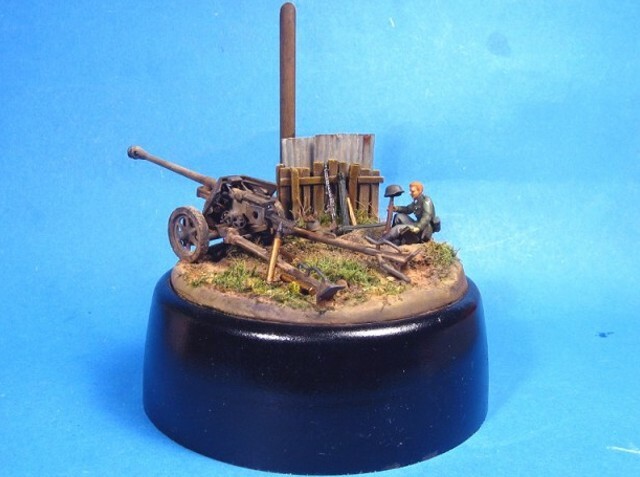 It started with the Airfix Pak 40 that I had as a left over after building the Opel Blitz, it's a neat little kit and I decided to build it as well. 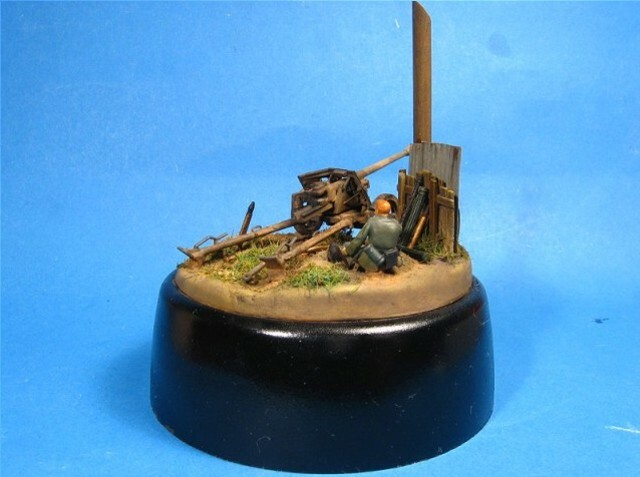 The figure is made of 4 Preiser figures and it's gear, and was painted using Humbrol colours. 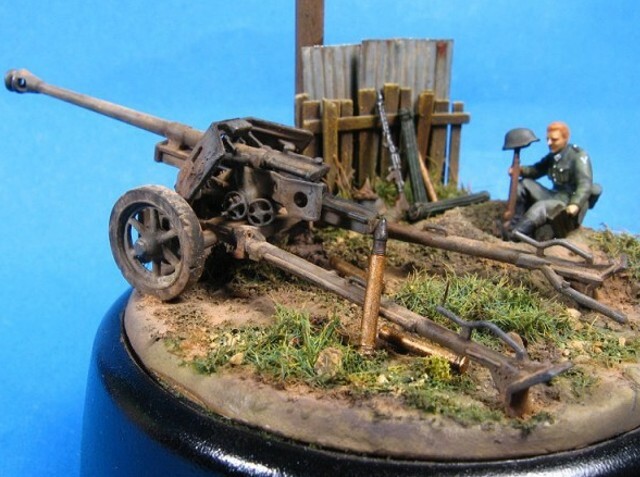 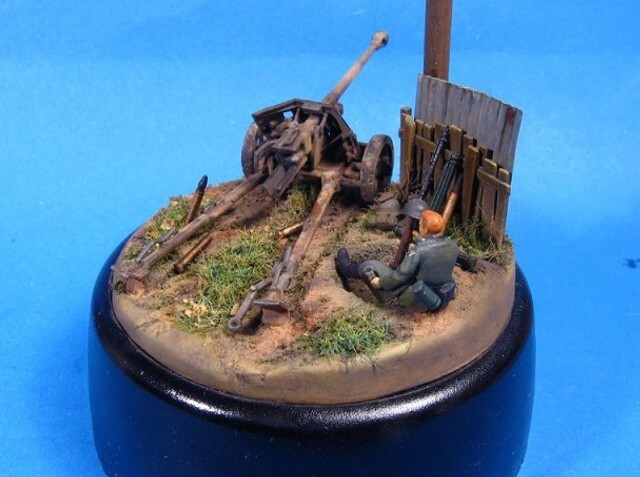 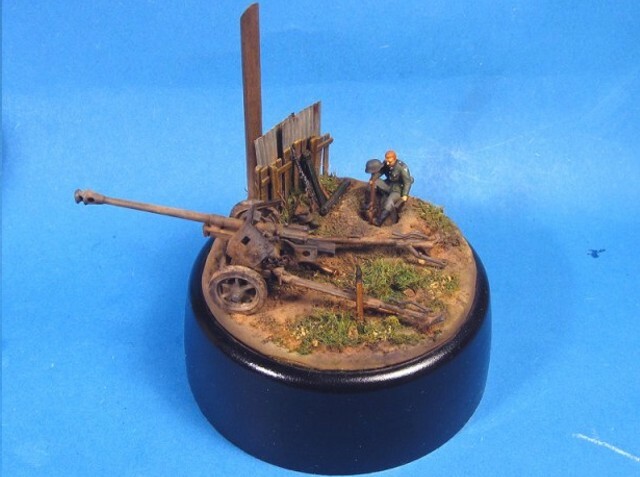 The gun was also painted with Humbrol and Tamiya, with some oil washes and Mig pigments to finish it. 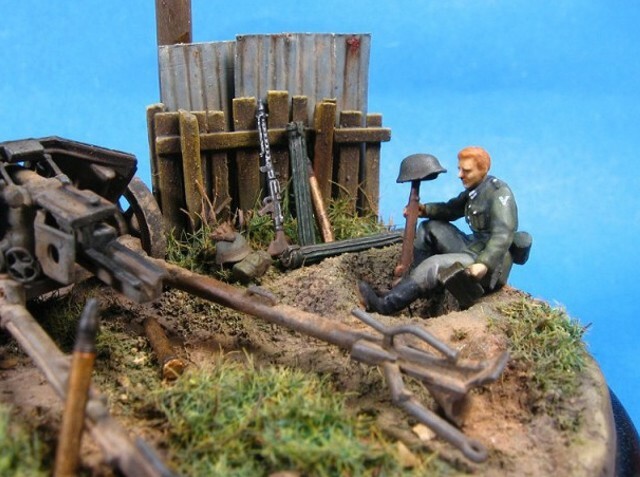 The groundwork was done using Das Pronto as a base, on top of which I placed the balsa fence and the aluminium foil corrugated iron. 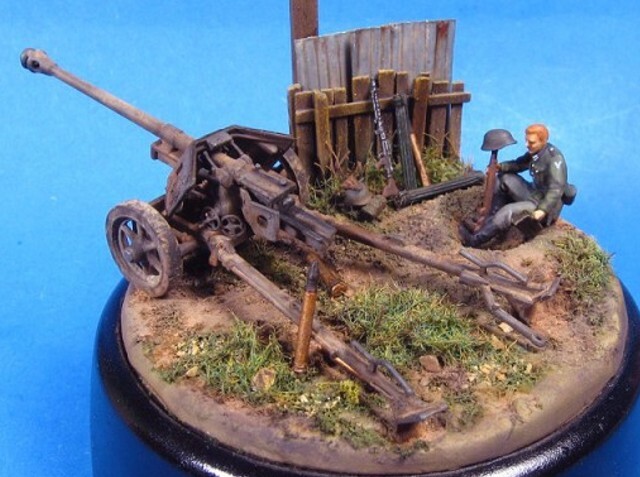 I then sprinkled some fine sand and static grass, and painted it all with Tamiya colours with an airbrush. 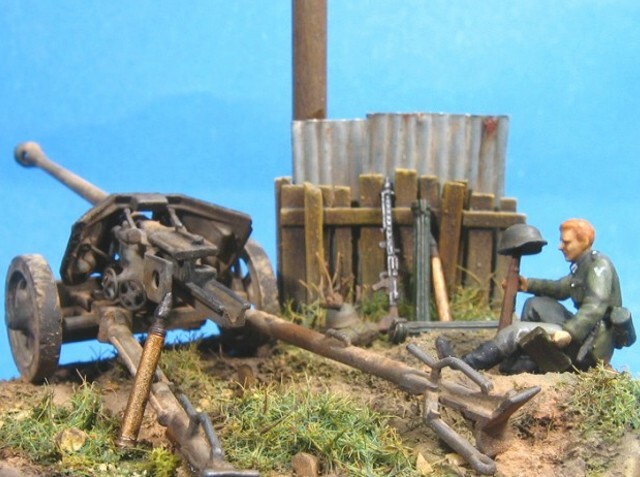 I tried to give the impression of a bored soldier playing around with is comrade's gun and helmet in a moment of rest/boredom. 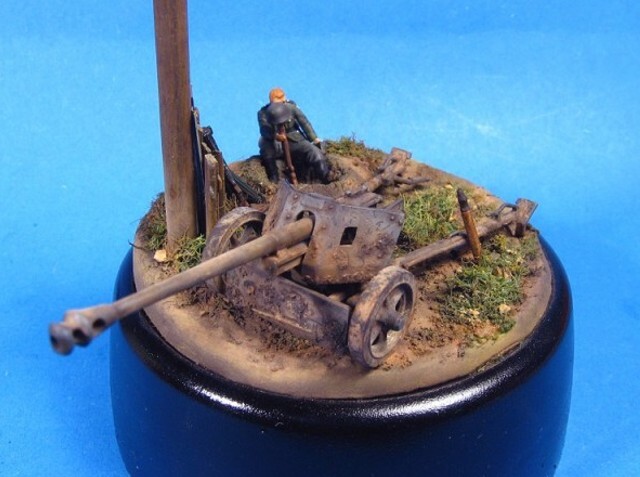 I also tried to make some close-up shots but in this scale it's rather hard if you have an average digicam.